We are a family run flower farm located in the beautiful Willamette Valley just south of Portland, Oregon. Our fields are bursting with flowers from March through October. 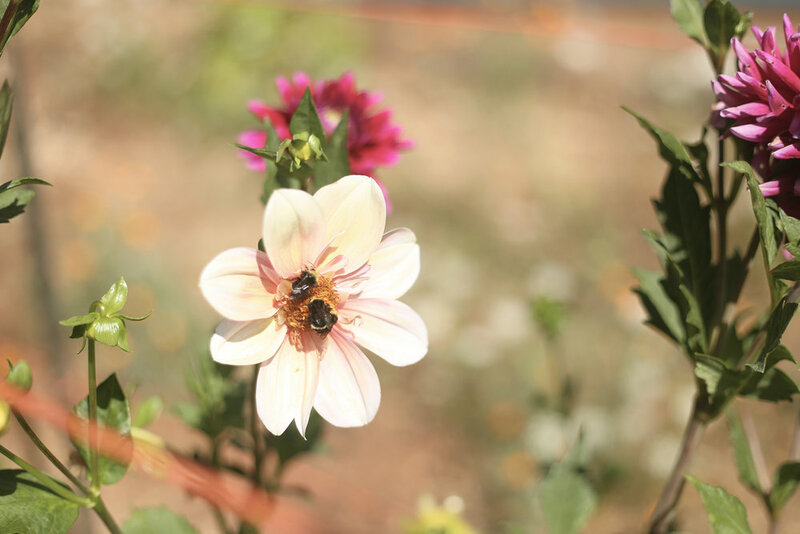 We grow seasonally and sustainably, taking extra care to support and protect our pollinators, birds and soil. Our display garden is an ever evolving landscape of texture, color and scent. We harvest only the best blooms each day and source hard to find varieties, coveted for their scent, stem length and color. We believe in a joyful, connected life and seek to build relationships with our community of flower lovers. We source and grow some of the most beautiful flower varieties from hard to find seed sources around the world to provide an ever changing variety of blooms for you. We harvest early in the morning, at just the right moment, and bundle the sweet blooms for sale to florists, wedding designers and those with a passion for beauty. Many mornings you will find us creating abundantly styled arrangements, ready to fill restaurants, shops, offices and homes with our signature style in beautiful vessels. We offer weekly, biweekly and monthly subscription arrangements and the occasional special design for those who appreciate our somewhat wild, foraged style. Are you a creative yearning to spend time in the country among flowers, fields, walking trails and beautiful views? We offer a select number of on farm workshops for floral design and flower farming as well as individual or small group retreats. Let us design your next adventure.